This afternoon, the sun finally got his hat on and we all cheered hip hip hip hooray! I had promised big boy we would go and see the helicopters one day so thought this sunny, albeit blustery afternoon was perfect. 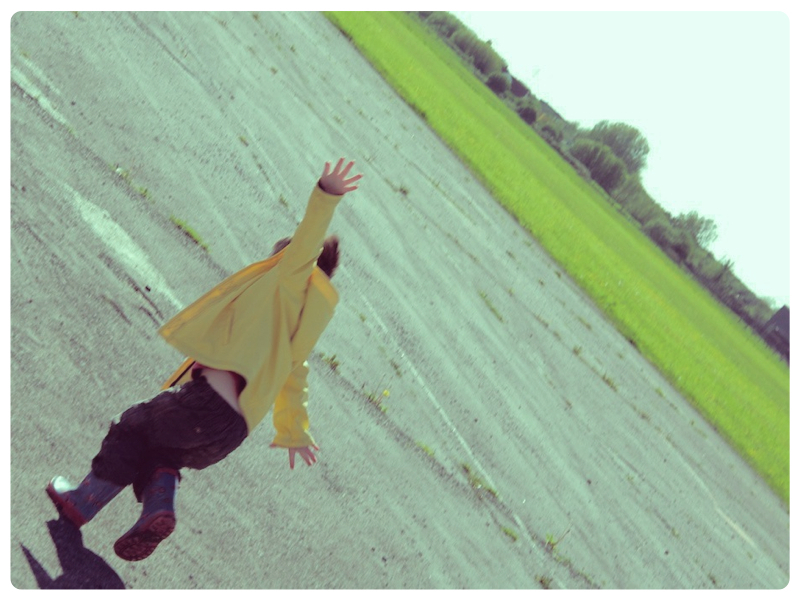 We live very close to the Helicopter Museum and the disused airfield, which sits empty and unloved along side. I know, because I used to be a Land Buyer and because I have a vested interest in the area near our home, that in the not too distant future, the airfield will be transformed into modern day suburbia, as it is owned by a major house builder. There wasn't a sole around on this glorious sun drenched afternoon, for about 45 minutes into our adventure and then one lonely dog walker joined us. Big boy was lost in his own little world, scooting along "like Dash" (from the Incredibles) and small boy was squealing with delight being pushed around in the fresh air. We scooted over towards the fence that protects the historic helicopters and to avoid any scowls from the Museum staff, (as we got a good look at those outside the hanger for free) I told him that a policeman would come and tell us off, if we went any further! I watched in wonder, at the sense of freedom my big boy enjoyed in that hour, running arms outstretched, zooming around being a jet plane, on the great expanse of tarmac.